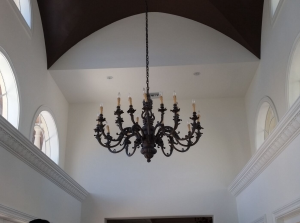 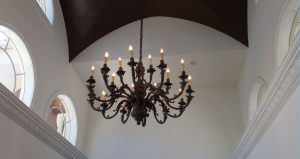 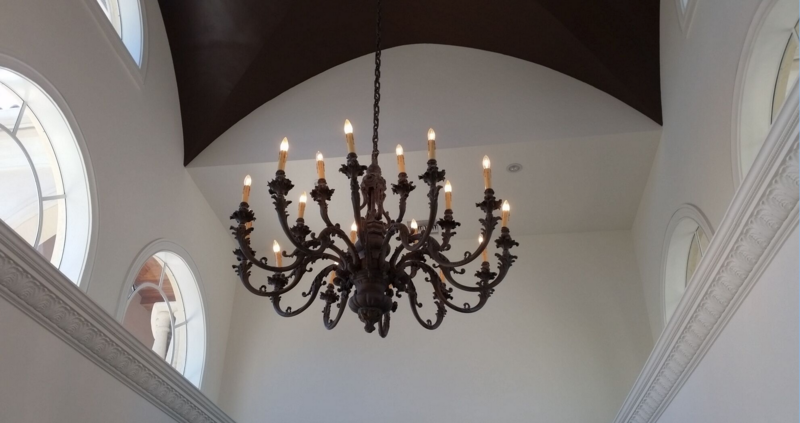 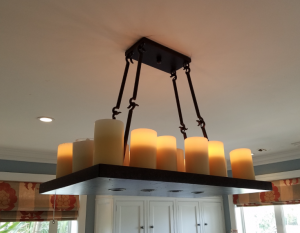 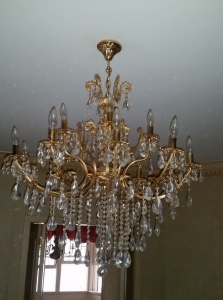 Description:This chandelier is 50″ long and 30″ wide…..give off great light. 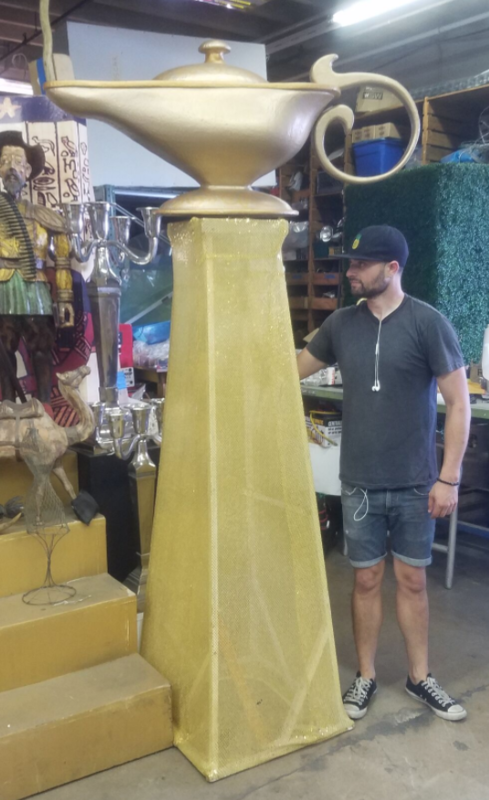 Description:Tall office or modern living room lamp 5.5 feet high. 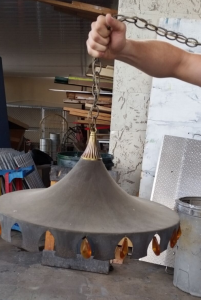 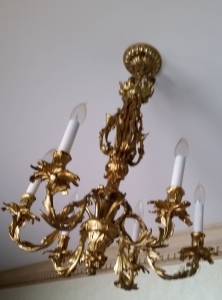 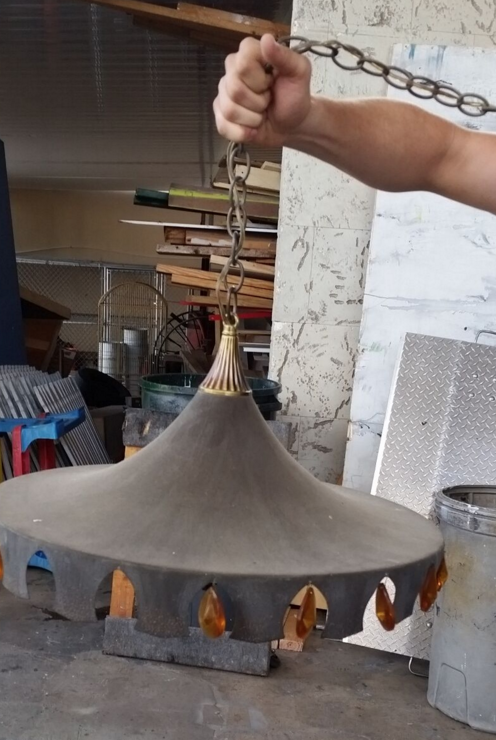 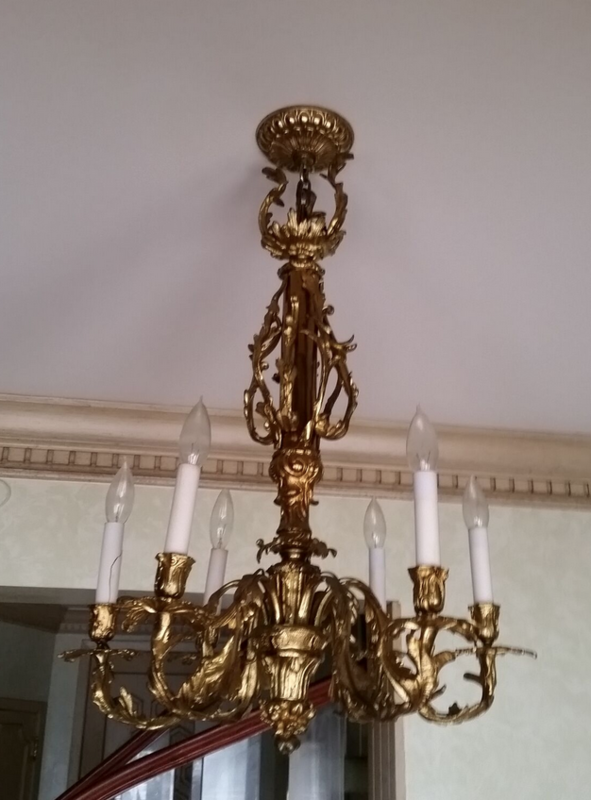 Description: This is a very nice smaller chandelier all metal…15″ across and 22″ tall. Description: This is a beautiful golden chandelier ….is 30″ across and 32″ inches long including the crystals…. 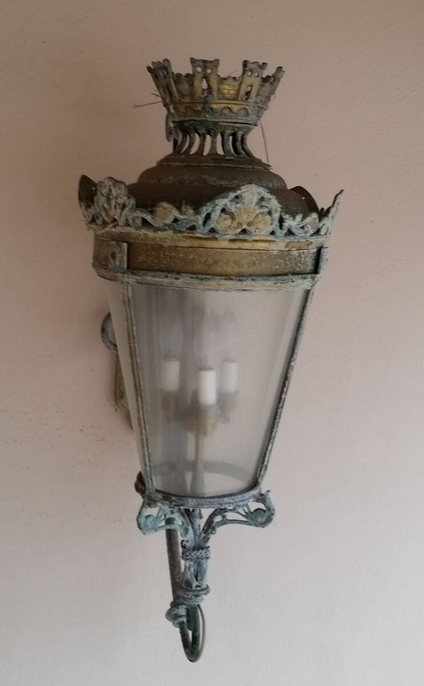 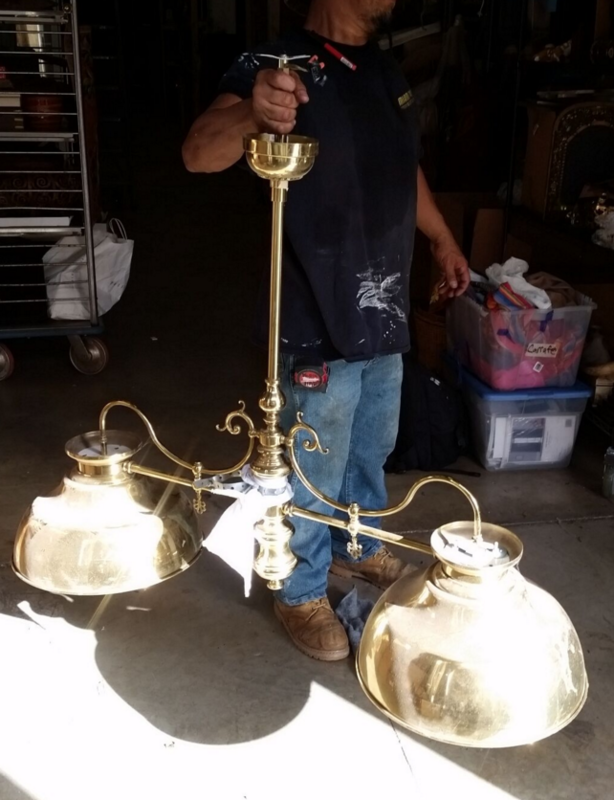 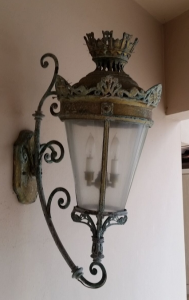 Description: We have two of these great sconces…they are 26″ tall and 14″ across…..nicely aged.